Emergency preparedness is essential for seniors, especially those who are very ill, have limited mobility, or have a cognitive impairment like Alzheimer’s or dementia. It’s one thing if you’re in charge of your older adult’s emergency plan and they live with or near you. But it’s completely different if they’re living in an assisted living community or a nursing home. In case of an emergency or natural disaster, you’ll have to rely on the staff to keep your older adult safe. An article from Next Avenue has wise advice about how to find out if your older adult’s care community has plans, procedures, and supplies in place to keep their residents safe during an emergency. We summarize the key questions that help you evaluate if the care community has detailed emergency plans, is ready for power outages, knows what to do during a fire or flood, and protects residents from theft or intruders. What are the detailed emergency plans? How is the staff trained and kept up-to-date on those plans? How will they provide the necessary food, water, medication, and shelter for the residents (including food and beverages for special health needs)? Is there always someone available to be in charge of emergency situations? Is there always a backup person available? What’s the plan if none of the leaders are available to take charge? Are generators available to restore power? Is there a backup in case one generator fails? Are the generators located in a safe, well-ventilated area away from the residents? How much extra food is kept on hand? Federal emergency recommendations call for a minimum of 3 days worth. How much drinking water is kept on hand? Federal guidelines recommend at least 1 week’s worth per person. If food or water runs out, what’s the plan to get more? If a high-risk storm or natural disaster is approaching, would food and water reserves be increased? Does the community set aside freezers containing frozen bags of water? Federal guidelines say they can be used to keep food and medications cold, cool overheated residents, and be used as drinking water once melted. What is the evacuation plan for fires and for floods? Is there a safe location where residents will be evacuated to? Though it’s not an emergency situation, it’s also important to protect residents from theft and unauthorized visitors. These protections are critical for older adults who have a cognitive impairment. Someone with Alzheimer’s or dementia might not know if a theft occurs or wouldn’t be able to report it accurately. In general, it’s safest to make sure that valuables are kept elsewhere, like with a trusted family member or in a bank safety deposit box. Is there a bond or insurance that pays for theft in their facility? Does there have to be formal charges and a conviction before stolen items are returned or financial compensation is given? Are the entrance/exit doors to the care community always locked? Is there a guard or receptionist at the door to verify employees and visitors who enter and exit? Is the door monitored 24/7? 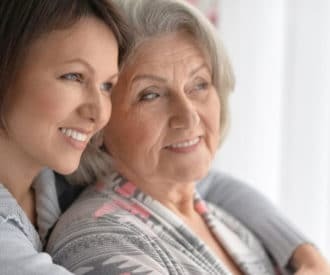 Asking these questions and learning about the care community’s emergency plan will reassure you that your older adult will be well cared for during an emergency. If the management doesn’t have a good plan in place and won’t make any changes, consider contacting the local ombudsman. They can advise you on the local regulations and on how to keep your older adult safe if a disaster happens.